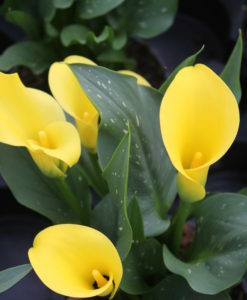 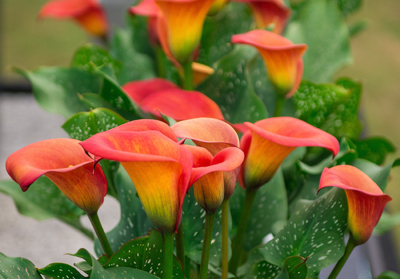 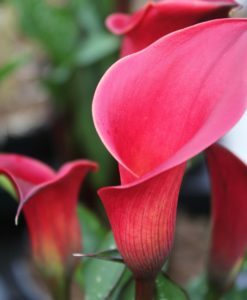 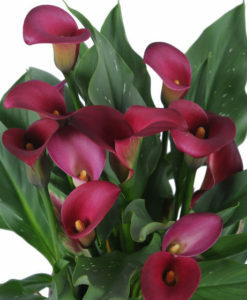 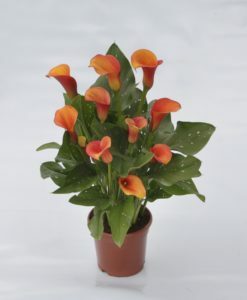 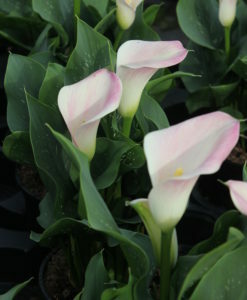 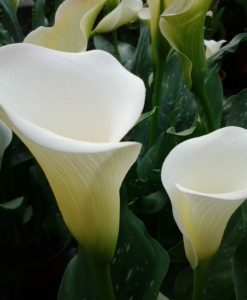 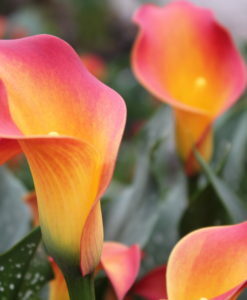 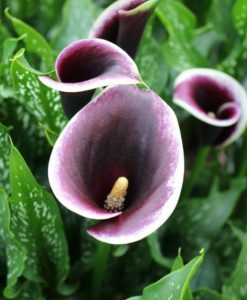 Zantedeschia Picasso is one of the older varieties in our selection which has stood the test of time very well. 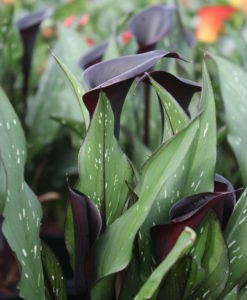 This is still in our opinion the best bi-coloured variety available. 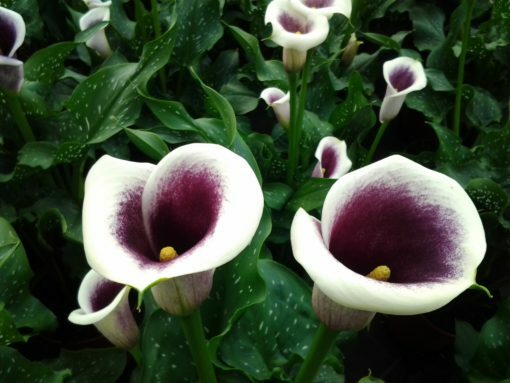 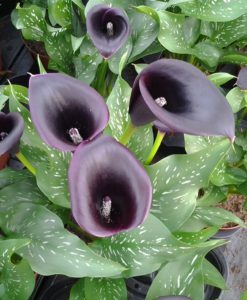 Larger than a lot of the newer varieties, it suits a larger container or even the flower bed where it stands elegantly with a large two tone purple and cream flower. 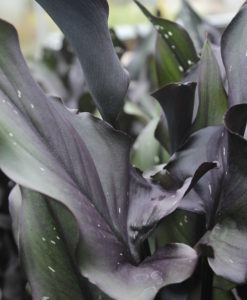 Picasso has good sized speckled leaves and has shown some hardiness in drier gardens, although we always advise to lift the rhizome in case of severe winters.